I love fall and I can't wait for it to get here in all its glory! As I was thinking about the fall projects I want to do this year, there are some from last year that were so fun and turned out so well that I want to do them again. Stick with me and I will show you some pictures of inspiration for this season too! 1) The #1 and #2 pumkins in the bathroom. 3) Decorating the window box for fall was another fave. If you don't have a window box, consider doing something like this but on a smaller scale, in a flower pot. You know I love pinterest! 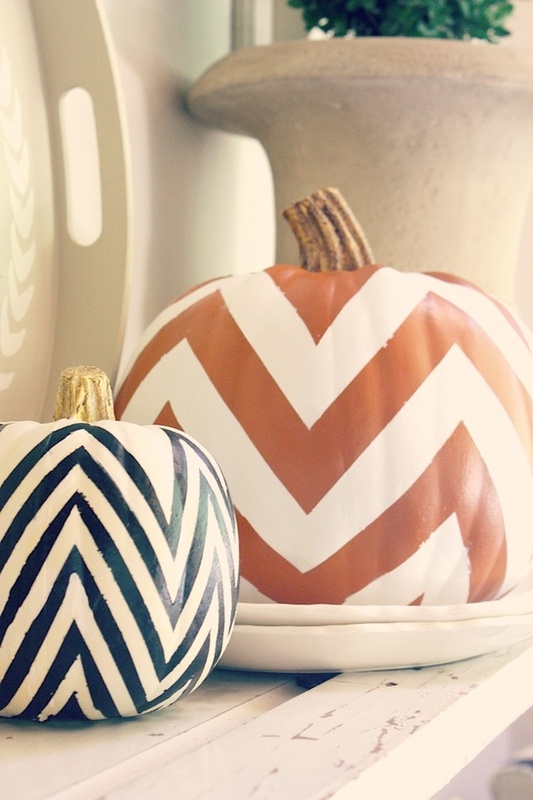 My seasonal board is full of ideas for this fall that I can't wait to try out! Here are some of my inspirations. I LOVE these sweater pumpkins from Confessions of a Plate Addict! OK Goodwill, you better have a cute orange sweater! If only we didn't have a TV! 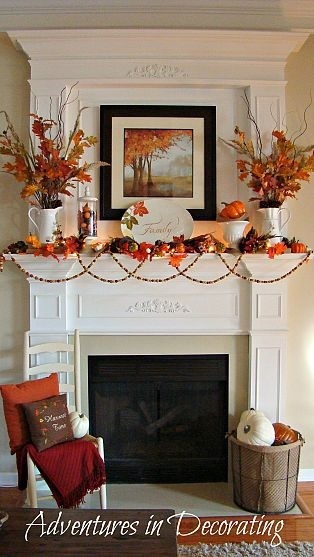 That thing always gets in the way of my decorating ideas for the mantel! Oh well, my hubby is happy! I love this table centerpiece. If only I had an old drawer! 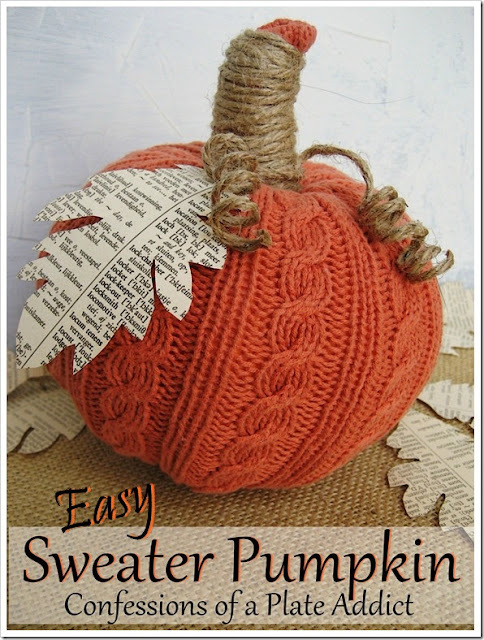 Here's a creative idea for combining your fall foliage with a pumpkin from Circa Dee. So cute! 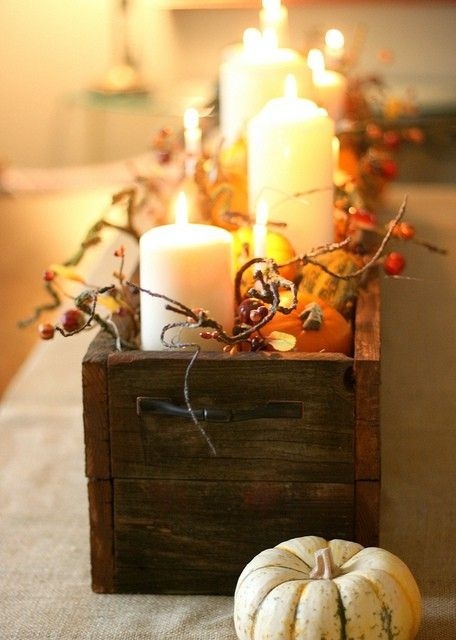 Hows that for some fabulous fall inspiration! I can't wait to get started!!! Come back next week to see how these ideas inspired me! Totally stealing the first photo idea - but they're all great!!! 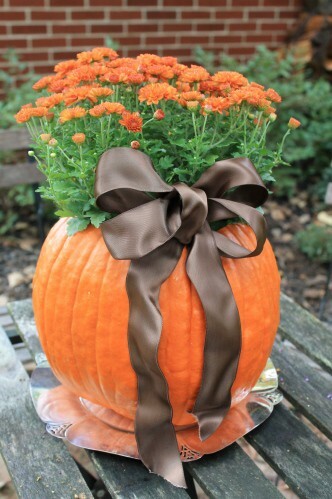 LOVE pumpkins! What a great collection of ideas! !